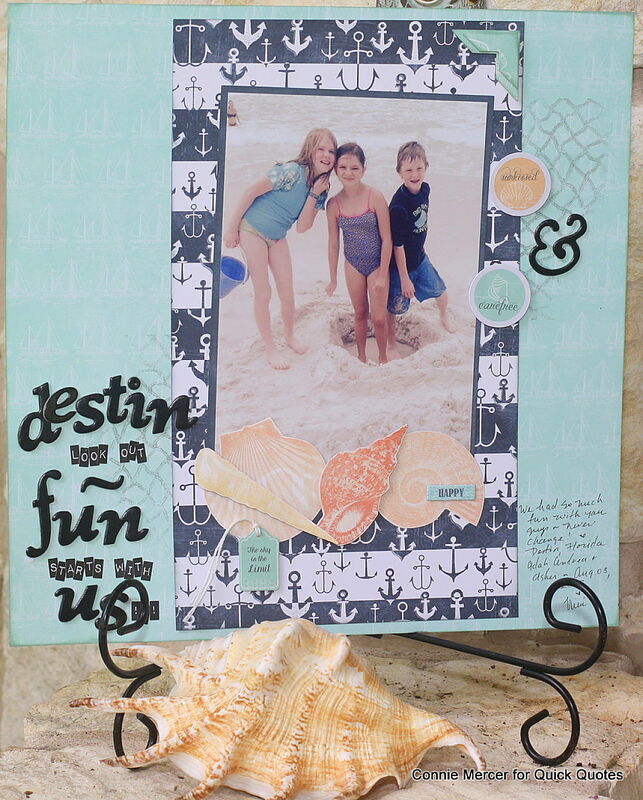 Hi, Connie here with a scrapbook page using the new and fabulous Anchor's Aweigh collection. Such a beautiful set of papers showcasing the "Beach" and all the fun that goes with it. 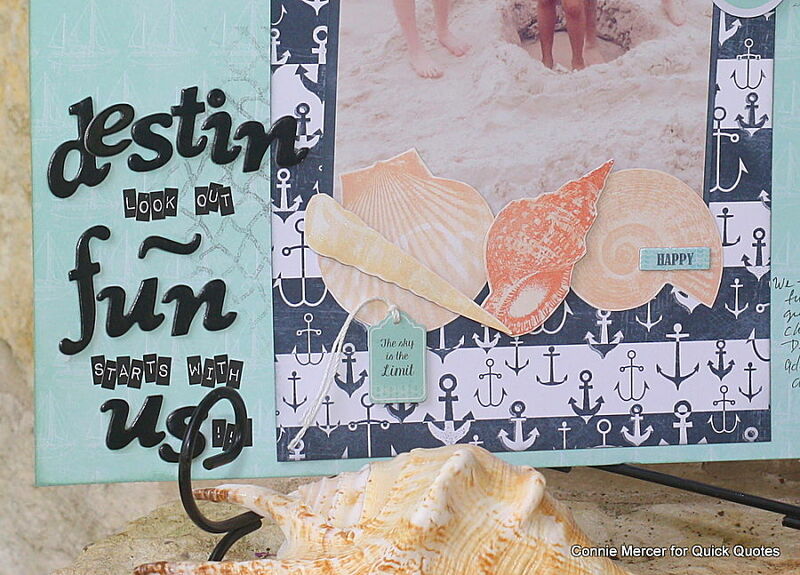 The seashells are stamped on Anchor's Aweigh 109 with Quick Quotes PowderPuff Chalk inks and then cut out. They have a little shimmer added to them also.